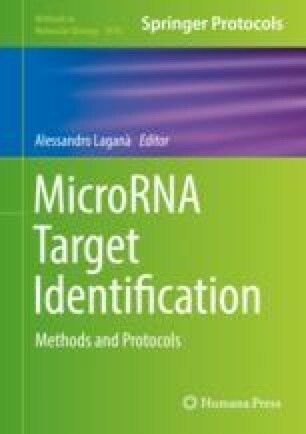 MicroRNAs (miRNAs) are small noncoding RNA molecules (sncRNAs) involved in gene expression regulation. Having been widely studied during last two decades, they have been associated with several diseases, including cancer. Recent improvements in high throughput sequencing technologies have revealed a more complex miRNAome, due to miRNA sequence modification phenomena, such as RNA editing and isomiRs. As a result, a new class of tools is necessary in order to appropriately investigate this emerging complexity. To address such need, we developed isoTar, a high-performance Web-based containerized application designed for miRNA consensus targeting prediction and functional enrichment analyses. In the present chapter, we provide an overview of isoTar (https://ncrnaome.osumc.edu/isotar/), as well as benchmarks and a guide to its usage. Giovanni Nigita, Rosario Distefano, Mario Acunzo, and Carlo M. Croce contributed equally to this chapter.